Item # 313559 Stash Points: 5,495 (?) This is the number of points you get in The Zumiez Stash for purchasing this item. Stash points are redeemable for exclusive rewards only available to Zumiez Stash members. To redeem your points check out the rewards catalog on thestash.zumiez.com. 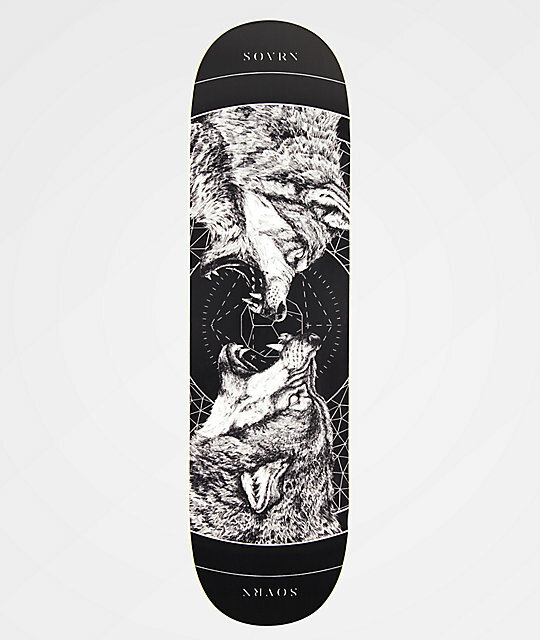 For massive pop and an intimidating graphic, look no further than the SOVRN Geri & Freki Black 8.38" Skateboard Deck. Highlighted by long and moderately pitched kick tails, this deck provides beefy pop in a responsive manner for quicker ollies in tighter spaces. Moderate wheel wells leave space for more vert prone wheels and steep concave throughout makes this board primed and ready for all kinds of flip tricks. 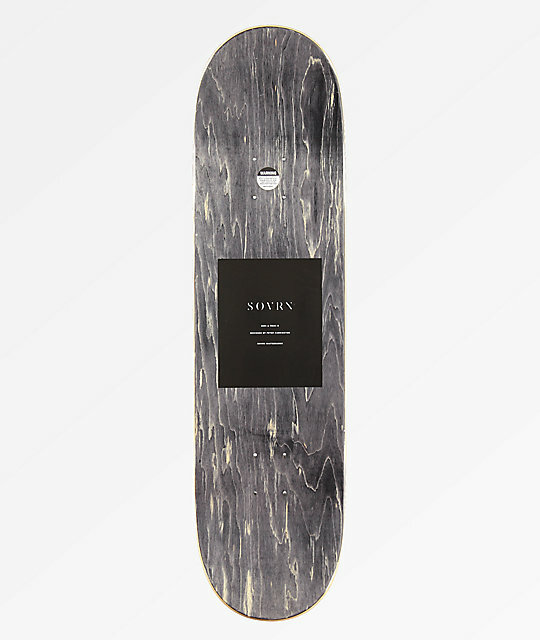 Geri & Freki Black 8.38" Skateboard Deck from SOVRN. Signature art by Peter Carrington. Steep concave and medium sized wheel wells.